I love shopping because it is my favorite activity. My mom personally hates it when I go shopping cause all of the money that she made that week just goes right down the drain. I do like getting new things and then wearing it the next day or waiting for it to be shipped to my house or now my dorm room. I know that I can stop shopping if I need to, but there are people who actually have a shopping addiction. And those people who have a problem usually rack up a lot of debt and they also have to go to shopaholics anonymous. There are different types of shopaholics. There are those who need to shop to help them through an emotion. I have done this before. There are people who shop because they need to find the perfect item. Some shop because they want to give off the impression to other that they are wealthy and flashy. There are tons of people who love shopping the sales so they think they are getting a good deal but buying too much stuff on sale still adds up and sometimes the spenders don’t even need the stuff on sale. There are people who shop and get things but return it after so they get the same shopping sensation of purchasing something, but aren’t really wasting money. The reason that people are addicted to shopping is that the way makes the person feels when they are purchasing something. When they shop the brain releases endorphins and dopamine making them happy and excited to get something new. When this happens every time someone is shopping, it can cause an addiction. 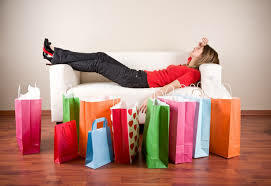 As of now there is no drug to take to help the shopping addiction, but many people who have this problem are told to take anti- anxiety drugs to help calm the nerves. 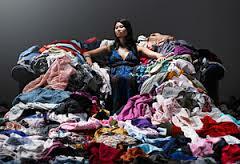 There is still research into a drug called memantine that might be able to help shopaholics with their addiction. It was originally made to help treat people with Alzheimer’s disease. Researchers are looking into this drug because they think that it will help the shoppers think more clearly when they are shopping. It could also help with the compulsive behavior. This entry was posted in Uncategorized on September 18, 2015 by Brooke Kaiden. I loved this post and article since I love to shop! Immediately when I saw the title I began to think of shopping malls and the thrill that comes along with finding new cute things to buy. It was really interesting to read about how shopping effects your brain since I wasn’t aware that shopping had such a serious impact. Overall, your blog was really nice to read and I loved how I could relate to so much of it. I definitely relate to this post. Even though I do not have an addiction, I definitely have a shopping problem. I love to shop and I shop every day I can. I have never met anyone who has an actual addiction to shopping, nor have I ever heard of a shopping addiction being a thing. I now will watch out for how often and how much I spend when I shop. This is a great article. It reminded me so much of the movie, Confessions of a Shopaholic. I love to shop too and always joke about it being a disease, but didn’t know it was real. I think it would be great to research more the psych area of this. It is interesting to see the endorphins are released, but I would also like to know what exactly happens in the brain when someone has an addiction. For example, what part of the brain is sending that message that makes you HAVE to buy an item. A lot of sites I searched about addiction only had results on drug and alcohol addiction. I think other areas of addiction should be investigated and focused on more. I actually was thinking about blogging about shopping addictions, and I totally can relate to your blog. I as well am a shopaholic and it is dangerous! I am not that addicted to the point of anti-anxiety drugs, but that was very interesting because I wasn’t actually aware that the addiction could be that severe. Your blog was fun, relatable, and I miss the mall! Thank goodness for the clothing stores that Penn State has downtown!